Clarkson, Hammond and May would be proud of this senseless caravan destruction. Even seasoned fans will probably admit that this hasn’t been the most exciting era of Formula One. We’d wager that caravan racing, where the objective is to simply destroy your competitor’s caravan, is more entertaining, and this video proves that. Red Bull Racing’s Daniel Ricciardo and Max Verstappen were recently camping out at the Red Bull Ring when they decided to trade their F1 race cars for caravan-towing Aston Martins to stage a light-hearted race at the circuit. The two minute video features more excitement than your average F1 race. 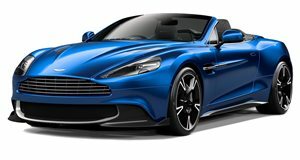 Ricciardo competes in an Aston Martin Vanquish Volante with 576 hp, while Max drives the more potent Aston Martin Vanquish S Volante with 603 hp. Granted, the cars aren’t evenly matched, but that isn’t the point of this unusual race. Each caravan weighted around 400 kg and were mounted on slick Pirelli tires for added grip. Not that they were very effective as the racing drivers teared the supercars around the circuit causing the caravans to comically flip over at every turn, much to the amusement of the racing drivers who are clearly enjoying themselves immensely. Much mayhem ensues, and by the end of the race the circuit is covered with caravan debris. Clarkson, Hammond and May would be proud to see some caravans put to good use. And if you're wondering about Red Bull's connection with Aston Martin, don't forget that the two companies are currently collaborating to produce the radical V12 Valkyrie hypercar.